In a Nutshell: Between 2 billion to 6 billion stocks are traded daily on the New York Stock Exchange. The options and information for your next investment can be overwhelming. 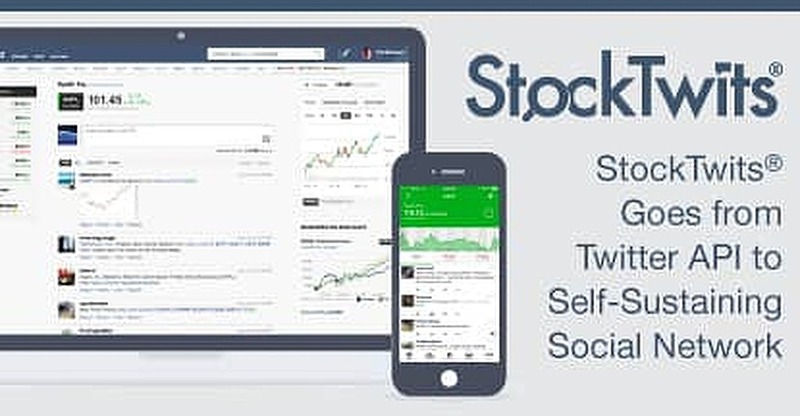 Using the phenomenon of social media, StockTwits took the Twitter API and built it into an industry-leading platform with more than 1 million active members. The social network for investors and traders sees more than 150,000 daily posts, providing instant gratification to members looking for information on a commodity. Streams on Forex and cryptocurrency are growing daily and the popular Money Badger blog, as well as an Instagram and Facebook feed, share lighthearted tidbits on the market. The company’s commitment to modern trading tactics has earned StockTwits our Editor’s Choice™ Award for its social approach to investing. I’ve always had a deep interest in the stock market. It’s been a fascination of mine since I was little. I was hypnotized by televised images of the trading floor, with the controlled chaos and constant movement. I was eager to get started as I got older and had a little money set aside to invest. In those days, before the explosion of internet trading, the only access I had to investment knowledge was a rundown building in my small town that offered broker services. I’d drive by the place regularly but never stopped. I was too new to the world of trading and didn’t want to ask a question or make a statement that showed just how green I was. Those nerves kept me out of the investing game for several years, until the internet opened a whole world of advice and knowledge. Future investors now have the problem of sifting through the glut of information to determine what’s real and what’s fluff. If there had been a platform like StockTwits when I was a young, curious investor, my portfolio might be much stronger than it currently is. Started as a message stream using Twitter’s application programming interface (API), the company grew to a self-sustaining platform that generates more than 150,000 user-created messages daily. The platform grew and evolved over time as it collected a loyal fanbase that makes trading a democracy. At any given time, thousands of members chime in on the prospects of any given commodity. It’s a system that’s proven to work for investors with any level of experience. The power of the StockTwits platform lies in its community. Varying opinions and levels of experience make researching and comparing different stocks an instant and up-to-date process. Members are almost certain to find timely data and posts on most stocks right when they need it without having to sift through months-old news, research, and press releases. The platform isn’t limited to stocks, as shown through its thriving community of Forex traders and ever-growing list of prospectors looking to cash in on the latest investing craze. In June 2017, StockTwits added streams for the main cryptocurrencies, including Bitcoin, Ethereum, and other tokens, which resulted in a marked increase in the number of visitors to the site. Justin Paterno, COO of StockTwits. As the StockTwits audience grows, monitoring the volume of posts and opinions has become an important task that determines whether new members become veteran posters or early abandoners. That exposure makes many investors on StockTwits must-follows by readers with different backgrounds and risk-tolerance levels. As with Twitter, trending topics are constantly updated based on what people talk about. Following a stream of posters makes finding the right advice quick and easy. Many investors are transparent in their holdings and allow followers to copy trades and ideas. If that’s not your thing, the new Discover section on StockTwits steers members to a curated list of stocks by trader or category. In an attempt to reach as many active — or potential — investors as possible, StockTwits has diversified its offerings across many social platforms, including a popular Instagram and Facebook feed. 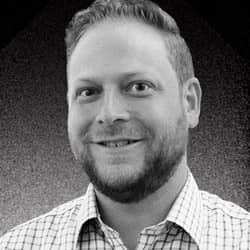 For a more lighthearted take on the financial world, the company created its heavily trafficked Money Badger blog which keeps members updated on the latest happenings without the serious tone that many investing websites maintain. The Money Badger Blog approaches heavy topics with lighthearted humor. Five years ago, no one would have imagined going to Facebook or Instagram for stock advice. But as times change, the tools used by investors and consumers also change. I realized on an airplane during a recent trip that I forgot to turn off the air conditioning in my home before I left. From an application on my phone, I turned it off and checked my lights, locks, and security system too. Soon after, I checked StockTwits for the latest market news. If all of this sounds like a very millennial sort of thing, it’s because it is. With a new generation of investors entering the market daily — lured by the current bull market that won’t seem to slow down no matter how hard the bears try — the platforms on which investors share knowledge are evolving. That doesn’t mean there aren’t long-term investors online with knowledge that could come in handy to even the most veteran trader. Gone are the days of dingy buildings in small towns, where brokers sit around in stuffy suits and smoke cigarettes while reminiscing about the good old days. We live in an age of information, where consumers and traders want what they want — and they want it now. With that in mind, StockTwits has expanded to become a community of traders who share knowledge and work together to build stronger portfolios in real time. The idea isn’t new, but it’s evolving and being mastered every day with new innovations and creations by the StockTwits team.